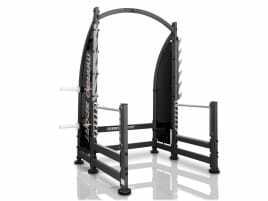 Category "Barbell and Dumbbell Racks"
Training with weights is an elementary part of strength training, which can be done at home as well as in a gym. 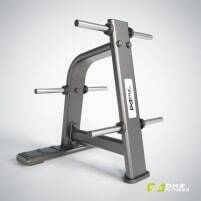 As storage place for the different training equipment there are various kinds of special barbell and dumbbell racks which allow a safe and space saving storage of the barbells and dumbbells. 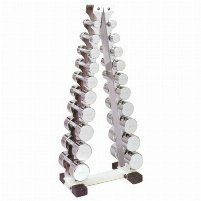 Very functional for home training is a new or used dumbbell rack for wall mounting. 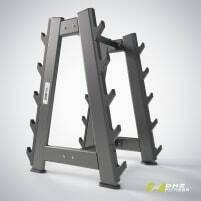 Mobile racks or special models to store complete sets of dumbbells are more recommendable for gyms. 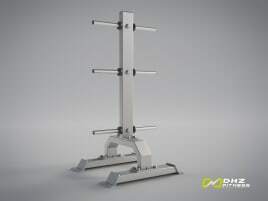 The situation is similar when it comes to barbell storage. 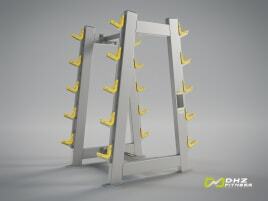 Furthermore there are also special racks for single weight plates or sets of weights. 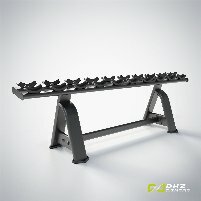 If you prefer training at home with your barbells or dumbbells, you can buy a new or used rack to store them. 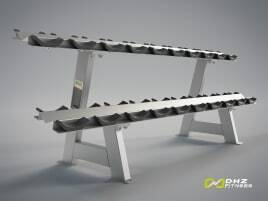 If you want to sell your new or used training equipment, you can insert your articles by creating an ad on fitnessmarkt.com only in a few steps. We recommend to write a detailed description of your offered products as well as upload some pictures to give the prospective buyer all information just at a glance.